The goal of the Mound City garden is to provide fresh vegetables to supplement foods available in the church's food bank (Mound City United Methodist Church). The majority of the produce goes to low income families and senior citizens. In addition, the garden provides an opportunity for healthy exercise, as well as an opportunity to learn gardening techniques. Experienced church garden volunteers serve as mentors to inexperienced helpers from the community. One of the biggest challenges for the garden is the water supply. 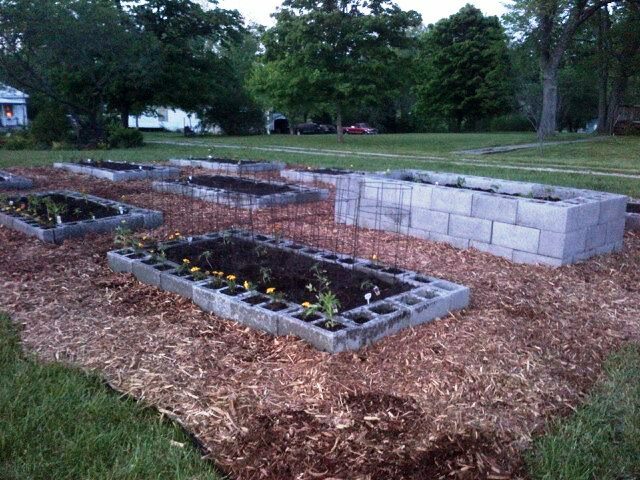 Grant funds were used to prepare the site, build beds, and purchase tools, water hoses, tomato cages and a rain barrel.